1. Is Gravesend the new Greenpoint? 2. Has anyone actually voiced interest in this apartment? I mean, the above image does not exactly exude “curb appeal”— but with loft living being all the rage perhaps I am simply being old fashioned? Those of you who are intrigued by this item can view this advertisement with your own eyes by clicking here. Happy hunting! Props go to Miss Mousey Brown for this find. There are official neighborhood borders (so none of that E. Williamsburg/W. 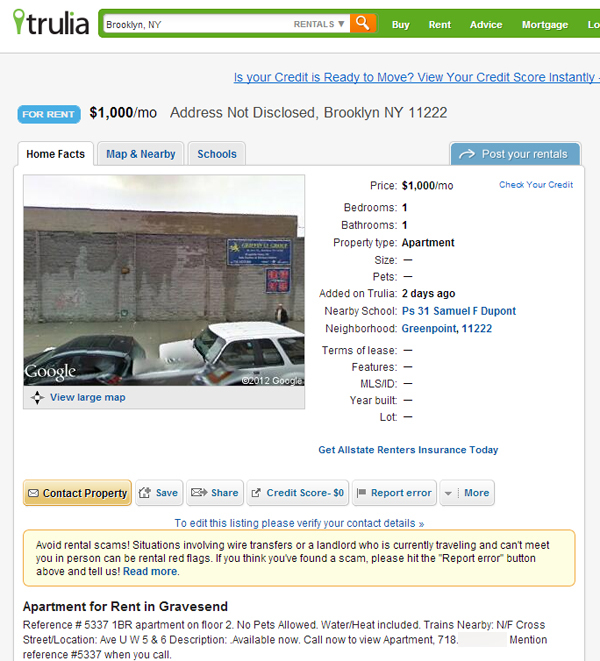 Bushwick nonesense) and it is illegal to list an apartment for rent without giving the exact address in the ad. Someone write your councilman.